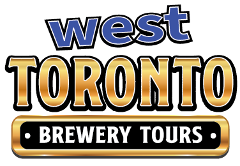 Our signature West Toronto Brewery Tour. So many samples, brewery tours, tasting lessons and more. Pickup at Keele TTC Subway Station. Visit THREE West Toronto Breweries, try over 20oz of delicious thirst quenching craft beer samples. Get a look behind the scenes at how the breweries operate, and find out why the craft beer trend is here to stay. 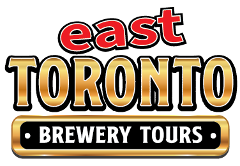 Try our East Toronto Brewery Tour. You'll get so many samples, brewery tours, tasting lessons and more. Pickup at Woodbine TTC Subway Station. Our newest tour option. Visit THREE East Toronto Breweries, try over 20oz of delicious thirst quenching craft beer samples. Get a look behind the scenes at how the breweries operate, and find out why the craft beer trend is here to stay.